The 2017 UIAA Respect the Mountains – partnered by KEEN – started where the 2016 campaign finished – in Romania. 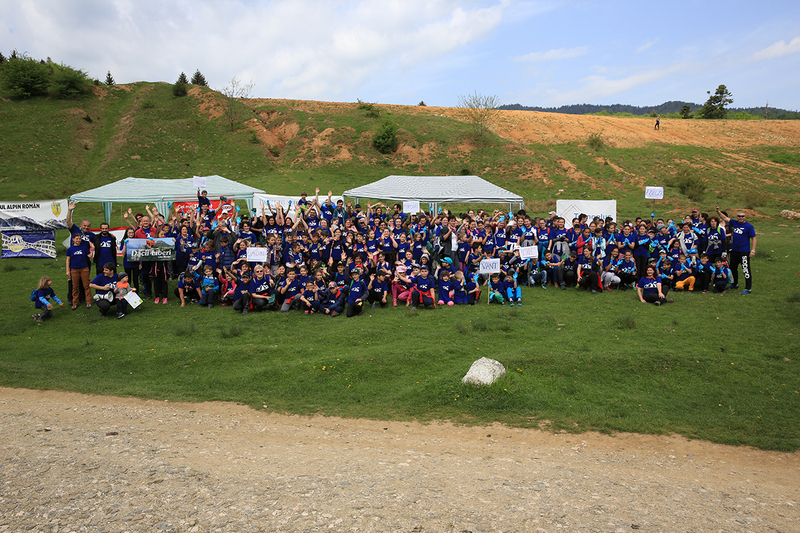 In early May, over 300 people, including many children and families took part in an event held on Piatra Mare (maximum altitude 1844m), with many acitvities concentrated in the forests of Dambu Morii. The area is located near Brasov, and situated close to Dracula’s Castle and Busteni. On route to the mountain summit lies one of the most popular sites in the region, the 7 Ladders Canyon. Because the canyon is easily accessible to the public, it is rife with garbage and human waste. 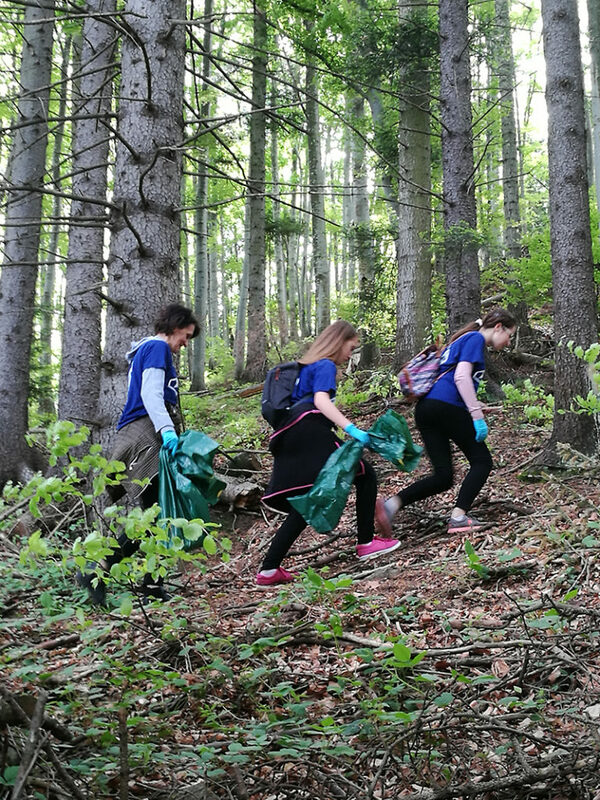 This annual clean-up event has been organized in the past by the Floare de Colt Brasov and on the occasion of its tenth edition, the UIAA and the Romanian Alpine Club joined forces with the project under the Respect the Mountains umbrella. Over 50 volunteers, including many teachers, helped coordinate activities which included a number of games and educational programmes for children. The volunteers worked relentlessly, and despite some rain, collected over 100 garbage bags totalling 300 kilos of waste. The 2016 UIAA Respect the Mountains Series, the first organised by the UIAA, was held from May-September and comprised nine events in eight European countries, many involving the direct support of UIAA member federations. Waste clean-up operations took place in a diverse panorama of European tourist destinations, from sun-baked Tenerife to Romania’s wild Carpathian Mountains; from the imperious Mount Kazbek to the popular, world-renowned resorts of the French Alps. 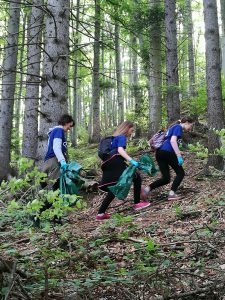 Over 600 volunteers, many families, united to walk over 3,300 kilometres in clearing five tonnes of waste from European slopes. In 2017, the focus is not simply on clearing mountains and outdoor spaces of human waste but engaging all mountains users, individually and collectively, to take more responsibly for their actions and in turn become ambassadors for mountain protection. UIAA Respect the Mountains events are a one-day experience which combine hard work, fun and an emphasis on social interaction in equal measure. Further details on the 2017 UIAA Respect the Mountains campaign, including the full calendar, will be posted shortly. For further details about the UIAA Respect the Mountains series please click here. Article and images courtesy of Alexandru Paun, Romanian Alpine Club.